Published on 28. 04. 2017 in comics and cartooning, commentary and criticism and pictorial arts. Closed Tags: Claudia Bertling Biaggini, George Herriman, Michael Tisserand, Sebastiano del Piombo, The Burlington Magazine, The Comics Journal. Over at The Comics Journal I’ve just had my rather long, unfocused… er, discursive review of Michael Tisserand’s major new biography Krazy: George Herriman, A Life in Black and White published. 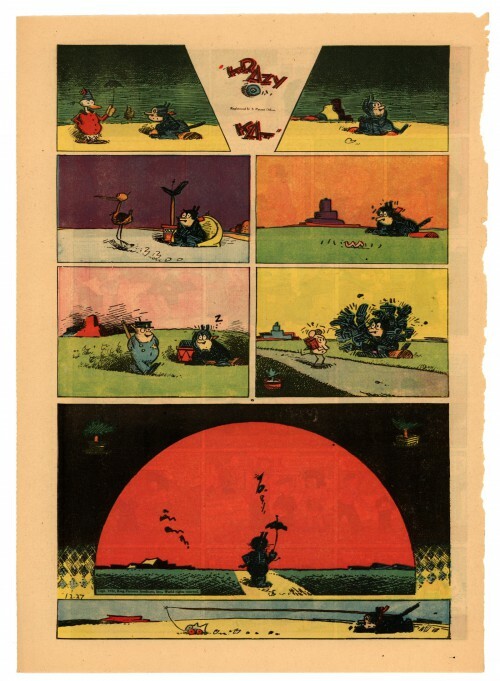 Herriman’s Krazy Kat is widely, and for pretty good reasons, regarded as one of the greatest comics of all time, and really should also be considered on of the great, distinct works of art of the twentieth century, in my opinion. I have some thoughts about the strip, as well as assorted other comics embedded in the review. Anyway, check it out. Oh, and in the latest issue of The Burlington Magazine you can read my review of Claudia Bertling Biaggini’s book on Sebastiano del Piombo, Felix Pictor.